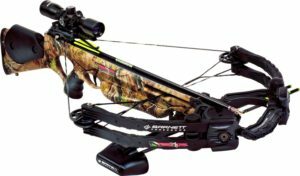 If you are a hunter and want to have a unique experience that will get your adrenaline rushing and make your hunting sessions more exciting, consider getting the perfect crossbow package. There are many crossbow packages out there in market promising great hunting performances, but only a few live up to their claims. One of the few that will deliver on its promises is the Barnett Razr Crossbow package. 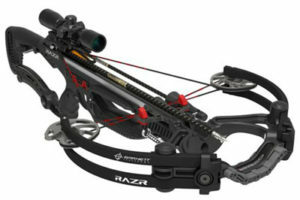 The Razr Crossbow is Barnett’s most impressionable and most technologically ahead of all the crossbows that they have. 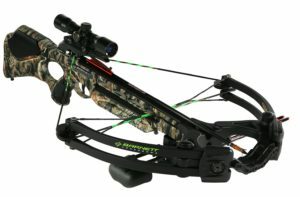 It is in fact the epitome of the perfect crossbow package in the industry. It is efficient, very powerful and has a balanced crossbow that is unmatched in the market. 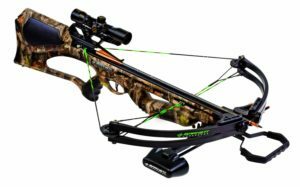 It also has the highest power-to-weight ratio unlike any of the crossbows ever made, thanks to its very comfortable weight of 6.4 pounds. Despite its draw weight of 185 pounds, the Barnett Razr crossbow is able to produce impressive arrow speeds of 400 FPS. Many crossbows make promises of power and convenience that they don’t fulfill. When searching for items like crossbows, specifications and features can make products look far more valuable and useful than they actually are. With the Barnett Penetrator, that definitely is not the case. 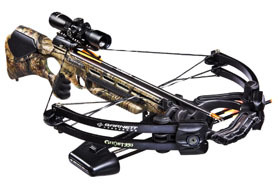 With true power and wealth of features, this crossbow offers sportsmen the chance to get a top-of-the-line crossbow at a highly competitive price without sacrificing quality. Barnett has long been a trusted manufacturer in the crossbow and sport industry. With the release of the Barnett Penetrator, they have raised the bar with this new quad-limbed compound bow. This crossbow features a draw weight of 175 pounds and is capable of shooting at over 350 feet per second. These two features alone set the Barnett Penetrator among the top of its class. On top of being powerful, the Penetrator is very accurate as well. Featuring Barnett’s heralded fiber compound crossbow strings as well whiplash cams that reduce vibrations to ensure an accurate shot every time. The power of the Barnett Penetrator is remarkable. The 175 pound draw weight gives power to hit any game or target with more than enough strength. As a result, the bow can tend to over perform, but most hunters don’t seem to have a problem with that. It is encourage to be wary of your surroundings to ensure that you don’t have to constantly replace your arrows from hitting hard surfaces like rocks should an arrow pass through your target. 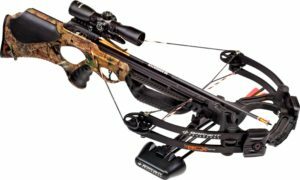 In the world of crossbow hunting, there are a handful of manufacturers that produce some of the very best crossbow platforms the world has ever seen. Barnett is one of the few titans, continually innovating their already breakthrough designs to create some of the most comfortable, powerful, and deadly accurate crossbow solutions available for sale. This specific package, the Barnett Ghost 350 CRT Crossbow Package, just so happens to be another one of their smash hits – as well as one of the lightest crossbows that Barnett has ever created. With more and more states allowing the use of crossbows without the need for permits, companies are starting to develop safer and more dependable crossbows to comply with state standards. As well as more and more people are shifting to crossbows from rifles for their hunting.Regarded by many professional crossbow hunters as the best crossbow money can buy right now, the Barnett Ghost 350 is light, powerful, and ridiculously accurate. There are a couple of obvious things that you want when you are purchasing a crossbow, features that if missing would cripple the entire platform right out of the gate. Luckily, Barnett understands crossbow hunting and crossbow hunters probably better than anyone else, and they made sure that the Big Three issues were taken care of. This is one of the more complete crossbow packages out there for people who are specifically looking for the ultimate weapon for crossbow hunting. The Barnett Jackal Crossbow is perfect for those shopping around for the very best crossbow with a tight military design with more than enough dropping power that you can rely on out in the woods. The bow is lightweight, relatively compact, and durable, this is why so many people are jumping aboard with this solution and reviewing it as one of the top crossbow hunting weapons available today. Barnett is reputed for manufacturing crossbows intended to meet the every changing requirements of hunters and the Barnett Jackal Crossbow is no exception. Having started its operations over 50 years ago, the company has come up with astounding designs to optimize on accuracy and lightweight structure for ease of operation. If you have an affiliation to crossbows, the first thing you will note about the Barnett Jackal Crossbow is a unique design which so many people like to refer to as Barnett style. It has a sleek military style stock which is lightweight and comes with a divided fore grip for comfortable hand placement. To produce an arrow speed of 315 feet per second, this weapon’s quad limb comes with high energy wheels and not to forget the quality of its synthetic string and cable. To any hunter, the Jackal’s lightweight characteristic and the power it is capable of delivering makes anything easy prey no matter how fast they are. If battery dies, so does the scope. So carry extra batteries around! 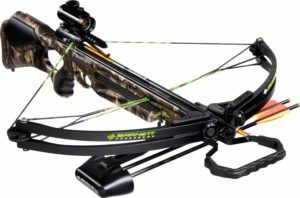 The following Barnett Predator Crossbow review will examine some of this device’s key features, its packages as well as its overall popularity among crossbow enthusiasts. As far as main characteristics go, the Barnett Predator is all about speed and power. Also, given its unique design and killing power, the Predator is a relatively unique in the world of Crossbow design. So if you’re looking for something new and powerful, this is the kind of crossbow that you’re looking for. The Barnett Predator Crossbow offers several key features which allow it stand out from other crossbows currently in the market. These include a shoot through stirrup, which increases the power stroke to up to 15 inches as well as a 175 pound draw weight for higher velocity and performance. Barnett’s AVI limb system, along with a special cam and cable system. *Actual performance may vary depending on the presence of additional accessories. When you decide to go for a hunting trip and looking for great crossbow, you have many options to choose from. However, one of the most popular choices is Barnett Wildcat C5. 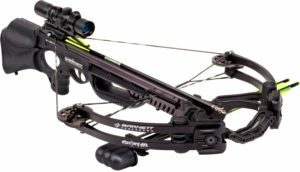 This Barnett Wildcat C5 crossbow review will look at the details of the product to help you determine if it is the right crossbow for you. Barnett is a respected name when it comes to crossbow manufacturers. It is a crossbow that is designed by hunters, for hunters. Barnett is a company with an experience of 50 years in this field and has created many products that cater to the needs of the hunters. The Wildcat C5 series are a compound crossbow. The product is designed to give comfort, performance and speed to the hunter, while they use it outdoors. The use of composite GAM stock makes the crossbow lightweight. 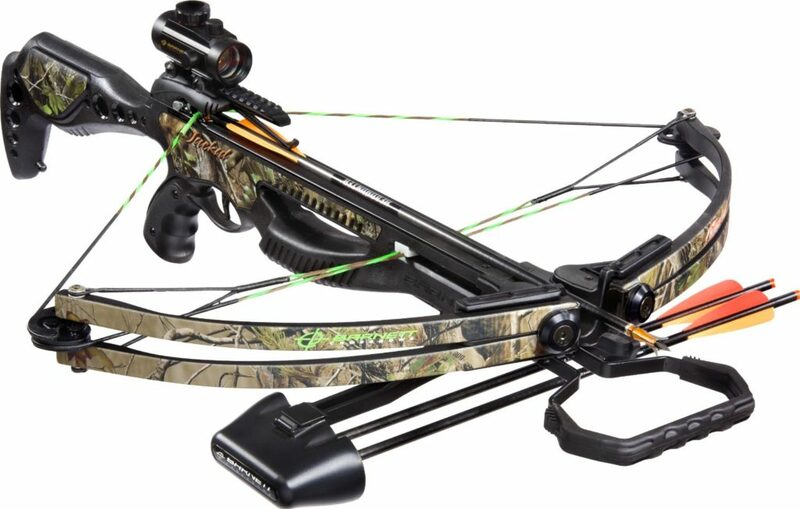 There is a new CROSSWIRE string and cable system used in this crossbow, along with the thumbhole grip and vented quad limbs with extra energy wheels. The design of this crossbow is really low profile and sleek. It is easy to install and comes with various attachments.